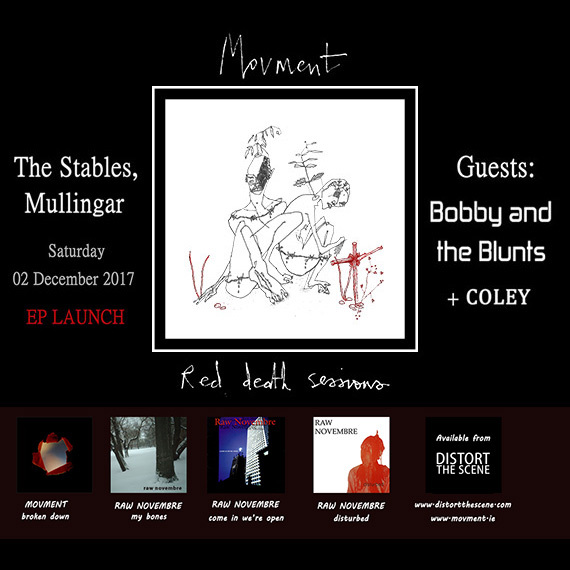 Movment launch their new Red Death Sessions EP in The Stables, Smiddys Bar, Mullingar on Saturday 02 Dec 2017 with guests Bobby and the Blunts and Coley. Movment will play tracks from their new EP, from their album Broken Down, and a selection of tracks from Raw Novembre, their previous band. All that attend the gig will receive a free copy of the new EP on CD.